When a new Good News Club begins in an elementary school, it is always a time of celebration! A few years ago I was in attendance for the first day of a brand new Good News Club. This same club was on our prayer list just the year before. We couldn’t start the club because we didn’t have a teaching team in place. Now the club was beginning with more than enough volunteers! A few teachers from the school, a married couple in their seventies, a mother and school volunteer, another mother, and a member of the school board were all invested in reaching these children with the Gospel! The head teacher for the club was also a music teacher at the school. 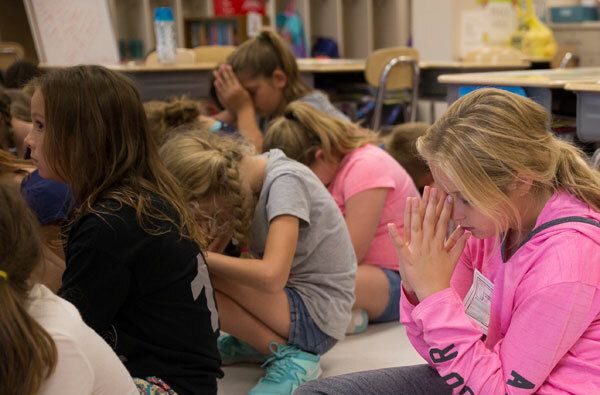 As club began she stood before the children and said “I’ve been teaching at this school for seven years…I’ve been dying to tell you about Jesus. Now I can!” Her excitement and passion to tell the children she works with everyday about Jesus was a powerful testimony. When you see children, day in and day out who need the transforming power of the Gospel to rescue them, it gives you a kind of holy desperation. She had waited seven long years, and now she could finally tell the children in her school about Jesus! We are thankful for these believers whose passion to reach children with the Gospel spurs them on.